Our Shoe Hospital is one of its kind shoe and boot mending and repair service provider for the people of NYC. 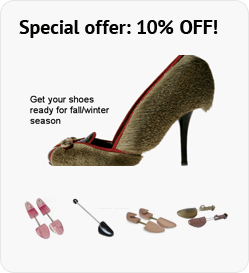 We offer high quality professional services for all your shoe and heel repair services. One of the most common problems people face today is with their heels. We have the expertise and experience to get your heels fixed and mended for your comfort. If the customers say “dog ate my shoes”, generally people throw away since the leather or cloth would be torn in the shoe. However, we take such cases seriously and precisely to provide appropriate maintenance for the footwear. Most people use glue to repair such shoes at home but its not recommended as professional services will make the shoe last longer. The broken heel repair service offered at the shoe hospital is the one stop solution for all your broken heels. Today, people love to shop expensive branded shoes that are to be used with care but most people don’t care much and the heels brake. It is not wise to throw away expensive branded shoes for the broken heels, at our Shoe Hospital we take special care to fix such broken heels. Everyone one owns at least a couple of pairs to wear depending on the occasion. Casual wear, formal wear and party wear are the main kinds of footwear displayed in every shoe store. It is necessary to give appropriate heels protection for your shoes in the beginning to ensure they last long. We use the finest and latest equipment and technology to protect your heels and give it lengthier life. Heels will last longer without breaking or tearing if proper protection is provided. Heel tops offer an exceptional difference to the shoes and boots having heels. When any part of the heels are ruined and need replacement, handle to us and we can handle an all-new repaired shoes or heels. The easy and free mode of repairing the heels is here to establish the right connection between the customers and the company. The shoe hospital responds to the heel repairs immediately and proposes the required service without any lapse. Adding shine to the heels, attaching new spares in the place of broken ones may acquire newness to the existing heels. Enjoy our service at best affordability and continue holding on to your most loved footwear for longer. After all, we ensure the right pairing of quality in looks and quality in strength of the soles we mend and the heels we repair. So, when it comes to finding the most reliable heel repair in NYC, you know where to turn. And that’s not all, you would be amazed to know that we offer an expansive range of skilled repair services such as shoe repair, heels repair, shoe shine, stretch shoes and boots, belt adjustment and fixing, leather jacket repair, bag repair, men shoe repair, women shoe repair, luggage repair, dye leather and cut heels..
On Friday I walked out of my apartment with my favorite heels. As soon as I started walking on the pavement my arms started flailing and I realized that my heels were worn down to bits. I currently live on the upper east side but I was going to visit my parents in dyker heights. My mom has been going to this place for years and I have never been the store.. Only seen his work. Before I went I was reading his yelp reviews so I was skeptical… Boy was I wrong. He fixed my boots for 11 dollars and was such a gentlemen about it. My heels were destroyed and he made them look brand new. I don’t know about you but I can’t find anywhere on the UES that’s less than 30 dollars. He was so sweet and he gave me a free shoe polisher. I was so happy with the service and the price. He also gave me the 10% yelp discount! I also used credit card – no complaints! I understand why my mom has been going to the same place for years. My new spot for shoe repairs! !